There's nothing handier than transforming one of your gadgets into a mobile hotspot with the goal that every one of your devices can get on the web when a router isn't accessible. Generally when it boils down to sharing a web connection, it's your phone or tablet that does the truly difficult work. Be that as it may, there are times when your PC could wind up being the gadget of choice. If, for example, you’re on hotel Wi-Fi. Or say you want to share your Wi-Fi at home, but you don’t want to share your network password and your router doesn’t have a guest mode. Those are just two possible scenarios that you might run into from time to time. Sharing your PC’s internet connection is easy in Windows 10. 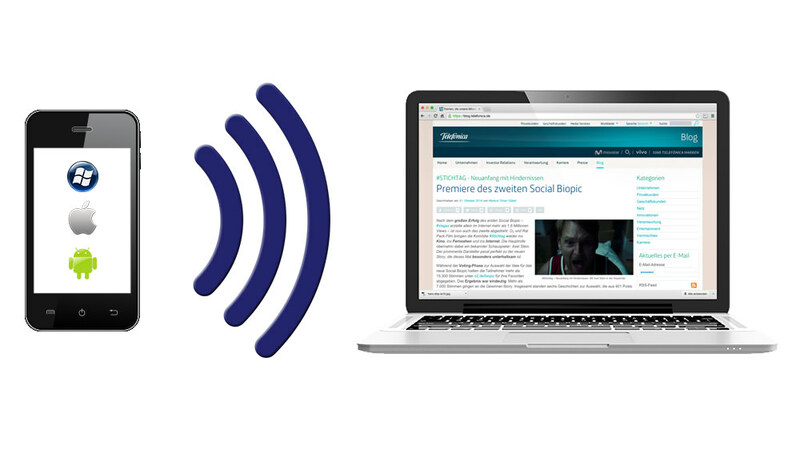 The feature allows up to eight devices to get online simultaneously. Here’s how I did it using a PC running the Creators Update. There are two ways to activate your PC as a mobile hotspot. The first is to click the internet connection icon on the taskbar. In the pop-up panel that appears you should see a tile labeled Mobile hotspot. Click that tile and you’re ready to go. The problem with this method is that you don’t know the name of your hotspot or its password. That’s why the first time you use the feature you should start in the Settings app. 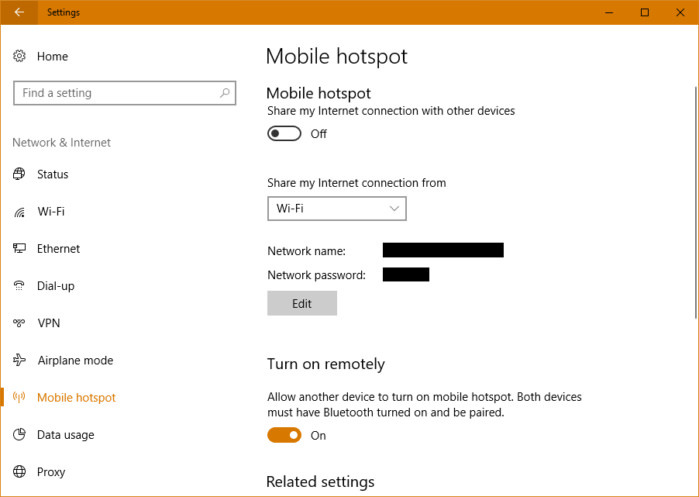 Open the Settings app by pressing Windows + I keys and go to Network & Internet > Mobile hotspot. On this screen, there’s an on/off slider at the top to activate the mobile hotspot feature. Below that is a drop-down menu labeled Share my Internet Connection from. Here you can choose which internet connection from your PC to use. 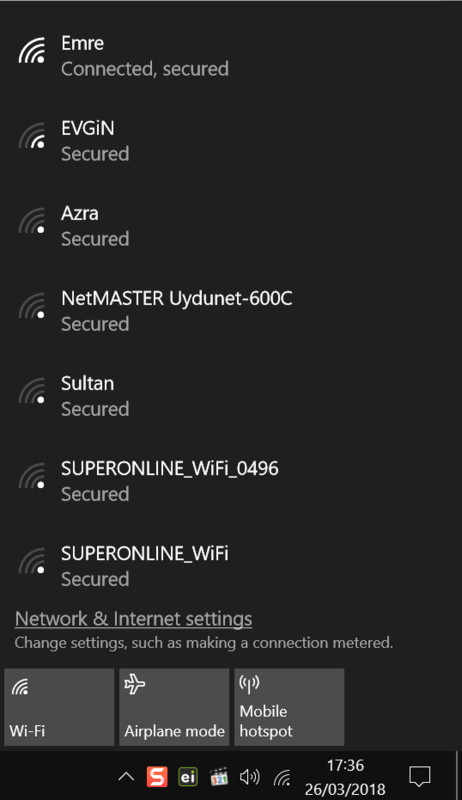 If you had a Wi-Fi and ethernet connection, for example, you could choose whichever you prefer. Below that setting is the all-important network name, which is the router name everyone will see when they search for nearby Wi-Fi connections. Next is the password. Windows automatically generates a network name and password. If you’d like to change either or both of these options click the Edit button. One last setting for anyone whose PC has Bluetooth. There’s a feature that lets another device turn on the mobile hotspot feature remotely if both devices are paired. This is on by default. That’s pretty much all there is to mobile hotspots in Windows 10. Did you find this tutorial helpful? Don’t forget to share your views with us.